ONTRAPORT may have a different field structure than your old system. A common example is a single name field with both first and last names, that you need to import into ONTRAPORT's separate First Name and Last Name fields. This video includes information on splitting the field in the first chapter. More detail is provided below. This article explains the basics of editing your CSV file to combine or split fields prior to import into ONTRAPORT. 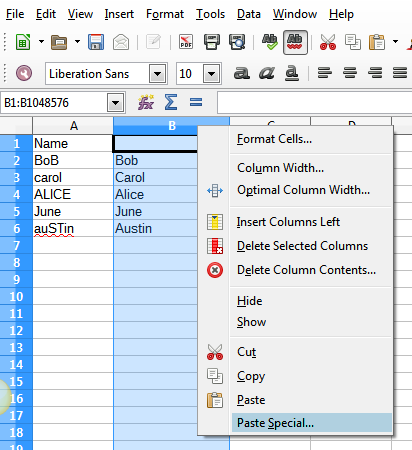 The normal tool used is Excel, but we include instructions for the free and open source OpenOffice and LibreOffice. Upon import, each field will occupy one cell of the spreadsheet. These are the basic, default fields for the Contacts collection in ONTRAPORT. You can create custom fields during import for information not found in this list, but in cases where you have a single name field for both and first names, or multiple contact tags in separate fields, we strongly recommend changing your data in the CSV file before import. Microsoft Excel's online help has an excellent article on this. The process is the same in Excel, LibreOffice and OpenOffice. All three use a function called "text to columns"
Inspect your data to determine how many additional columns you will need. The "text to columns" function splits the field at spaces, so if your data has just a first name and a last name, you need two additional columns added next to the Name column. If your data includes a middle name as well, you'll need three additional columns. Add the number of new columns needed to the right of the column with the names. In Step 2 of the wizard, select the Space check box, and then clear the other check boxes under Delimiters. In Step 3 of the wizard click a column in the Data preview box and then, under Column data format, click Text. Verify the data is correct. You may have to manually edit some data; as an example, some entries in the Last Name column may include a middle initial or a suffix such as "Jr". You may have data in several fields that you want to combine into one field in ONTRAPORT. A common example of this are Contact Tags. If your CSV file has multiple Tags in separate columns you must format them into a single column, separated by either "," or "*/*" for import into ONTRAPORT. This can be done using either the & symbol or the "CONCATENATE" function. This silent 2 minute video shows how to combine fields. Note: ONTRAPORT accepts either the standard CSV comma separated list enclosed in quotes as multiple values for a single field, or the proprietary "*/*" format to separate the values. These work exactly the same during the import process. In this example we have six columns, I through N, that may contain a Tag. Some cells are blank. We add a column next to N and name it Combined Tags. 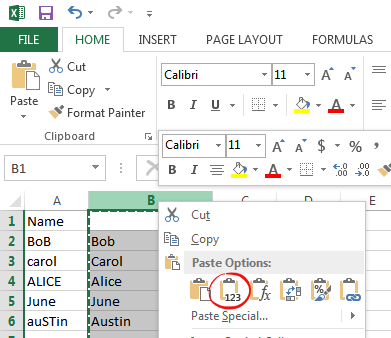 Press ENTER, then copy the formula down for all the rows in the CSV file. Rename the new column "Combined Tags for Import". Highlight the entire "Combined Tags" column with the formulas, right click and select Delete. ignored so you do not need to manually edit this list. In the formula the comma replaces each instance of the ampersand (&) character. There is no functional difference between the two methods and you are free to choose the one you feel most comfortable with. CONCATENATE is slightly more efficient when you do not need any characters between the values being combined. ONTRAPORT saves your uploaded CSV in Contacts > Settings > Import Contacts. These files are stored for 60 days and then deleted. If you want to save the original upload CSV file be sure to archive it on your local computer. ONTRAPORT / Projects are step-by-step in-app instructions with a checklist to track your progress. You can stop and resume the Project at any time. Log into ONTRAPORT in another tab and click Importing Contacts to start the Project.